I know I’m not the first person to say that Will Smith’s I, Robot, based on the Isaac Asimov novel of the same name, was not what fans of the author’s take on the rise of robots and how they might impact humanity were clamoring for in a cinematic adaption. 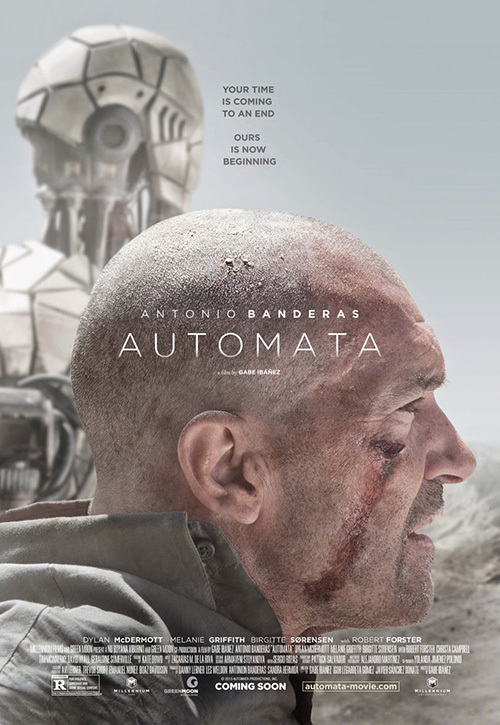 Seemingly borrowing much from Asimov’s work, mixed with a dystopian future motif that has seen a resurgence in such films as District 9 and Elysium, director Gabe Ibáñez’s Automata, starring Antonio Banderas, focuses on the ramifications of robots becoming self-aware and bending or outright demolishing some of Asimov’s laws of robotics. While the pace of the trailer itself feels almost schizophrenic, I feel like it mirrors the panic that humanity might experience at having their creations gain the ability to talk back and think for themselves. Let’s just hope that Ibáñez can slow down the action and that energy long enough to tell a coherent story. 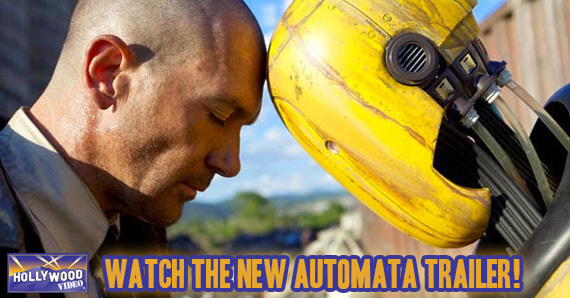 Automata, also starring Robert Forster, Melanie Griffith, and Dylan McDermott, hits theaters and VOD on October 10. This entry was posted in The HV Blog by jedkeith. Bookmark the permalink.